Roy Halladay pitched a complete game in his first game back to Toronto since signing to the Phillies last year. It went back and forth but was a close scoring game until Chase Utley hit a two-run homer that gave the Phillies a 4-3 lead and ended up winning the game 5-3. Halladay is now 11-3 for the season. Happy Easter For Philadelphia’s Sports Teams!!! It was an amazing Sunday for 3 of Philadelphia’s major sports teams! The 76ers and Flyers were on the brink of elimination and the Phillies were trying to complete a 4-game sweep of the Padres. 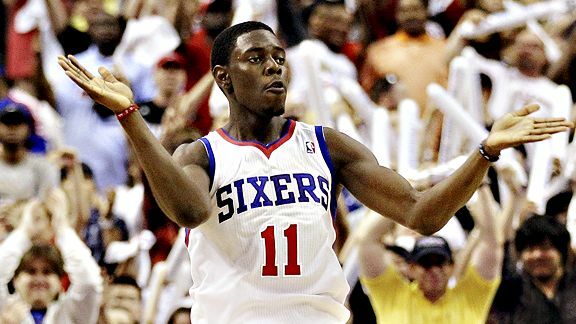 The 76ers were able to avoid the sweep with an 86-82 win over the Heat, the Flyers forced a game 7 with a 5-4 overtime win over the Sabres, and Roy Halliday threw 14 strikeouts in a 3-1 win over the Padres. It was a Happy Easter for Philadelphia!!! Roy Halladay made history last night in his first postseason game after so many years in the MLB with the Bluejays. He was aggressive the whole night and the offense put up 4 runs for the Philadelphia Phillies in a 4-0 win in game 1 of the NLDS versus the Cincinnati Reds. Oh by the way………Roy Halladay threw a no-hitter, the second in MLB postseason history. What a start! 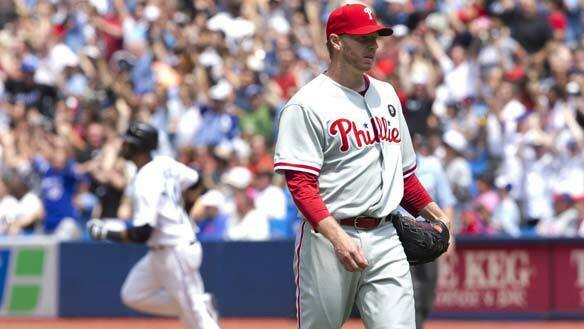 Roy Halladay had 2 not so great outings before last night’s game. Everything changed when the game finished! He pitched the 20th Perfect Game in MLB history. Roy did his thing on the mound and ended up perfect for the night, leading his team to a 1-0 win over the Marlins.